Ashland, OR – New study demonstrates an improved approach to ensure protected areas enhance and conserve biodiversity. The results of the study were used to inform expansion of the Cascade-Siskiyou National Monument. A team of researchers from the Klamath Bird Observatory, Point Blue Conservation Science, and other partner organizations used big data and fine-scaled modeling to 1) evaluate an existing network of protected areas in the Klamath Siskiyou Bioregion of southern Oregon and northern California, and 2) to identify and prioritize new areas for protection. 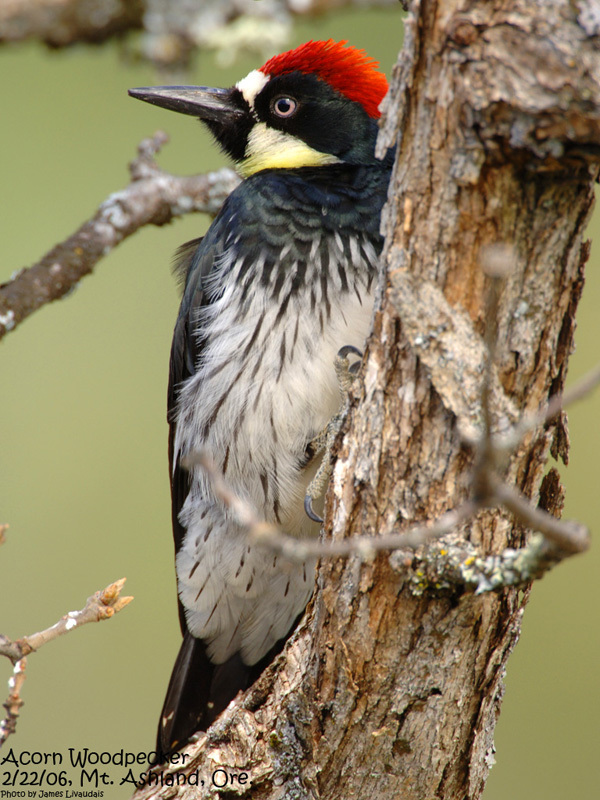 The study used birds as indicators of important habitats and biodiversity. The researchers found that the region’s protected areas, including seven National Parks and Monuments, were protecting coniferous forest habitat. However, adequate amounts of grassland and oak woodland habitats were not being protected. Birds that are associated with these under-protected habitats have been identified as at-risk at both national and regional scales and the conservation of grasslands and oak woodlands has become a priority. 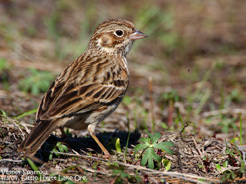 Results from the study identified some protected areas where grassland and oak woodland birds did occur, as well as additional areas that, if protected, would increase the amount of priority birds protected by the region’s Parks and Monuments. Specifically, these priority habitats occur within the Cascade-Siskiyou National Monument and on adjacent multiple-use lands. This scientific insight informed science-driven recommendations to expand the Cascade-Siskiyou National Monument. With support from Oregon’s US Senators Wyden and Merkley, President Obama signed an executive order on January 12, 2017 increasing the size of Cascade-Siskiyou National Monument by more than 45,000 acres resulting in more protection for grassland and oak woodland birds. This study and its application offer an improved science-based approach to evaluating protected areas and identifying and prioritizing new areas for protection. The results were published today by the Ecological Society of America in a special feature of the journal Ecosphere, Science For Our National Parks’ Second Century. 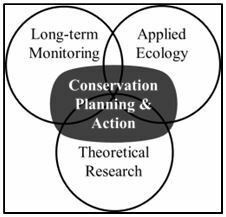 The special feature highlights the crucial value of long-term monitoring and scientific inquiry and the role of science in informing natural resource management and conservation on public lands. This research was completed with support from the National Park Service, Bureau of Land Management, and US Forest Service and contributes to the Partners in Flight bird conservation initiative. A gigantic amount of data used for this research was made available through the Avian Knowledge Network. The paper can be accessed online at http://onlinelibrary.wiley.com/doi/10.1002/ecs2.1799/full. Klamath Bird Observatory advances bird and habitat conservation through science, education, and partnerships. We work in the Pacific Northwest and throughout the migratory ranges of the birds of our region. We developed our award-winning conservation model in the ruggedly beautiful and wildlife-rich Klamath-Siskiyou Bioregion of southern Oregon and northern California. Emphasizing high caliber science and the role of birds as indicators of the health of the land, we specialize in cost-effective bird monitoring and research projects that improve natural resource management. Also, recognizing that conservation occurs across many fronts, we nurture a conservation ethic in our communities through our outreach and educational programs. Visit Klamath Bird Observatory at www.KlamathBird.org. At Point Blue Conservation Science (Point Blue), our 140 staff and seasonal scientists conserve nature through science, partnerships and outreach, on land and at sea. Using our long-term data, we identify and evaluate both natural and human-driven change over time. We work hand-in-hand with governmental and non-governmental agencies as well as private interests to help ensure that every dollar invested in conservation yields the most for biodiversity and our communities. Visit Point Blue at www.PointBlue.org. Avian Knowledge Network is a network of people, data, and technology working together to improve bird conservation, management, and research across organizational boundaries and spatial scales. 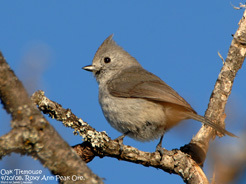 Visit the Pacific Northwest node of the Avian Knowledge Network at www.AvianKnowledgeNorthwest.net. Partners in Flight is a network of organizations advancing the conservation of birds via sound science, integrated conservation partnerships, habitat delivery, and targeted citizen outreach. Visit Partners in Flight at www.PartnersinFlight.org. 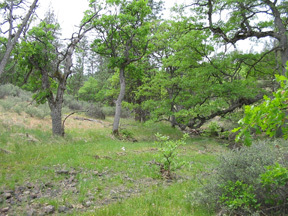 On June 27, 2015 the Klamath Siskiyou Oak Network (KSON) will host an Oak Woodland Restoration Field Day, designed to provide an opportunity for landowners and land managers to learn about oak restoration on their lands. This half-day event will be held at several properties in the Colestin Valley between Ashland and Yreka, where a large-scale private lands oak conservation partnership program has been underway for the past decade. 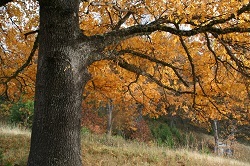 A series of presentations by restoration professionals, agency managers, wildlife biologists, and private landowners will highlight current oak restoration and management approaches, the habitat value of oaks for birds and other native wildlife, and how landowners can access technical resources and funding for restoration. 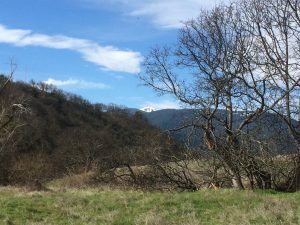 The KSON partnership conserves oak habitats on private and public lands in the Klamath-Siskiyou Bioregion of southern Oregon and northern California. KSON partners include non-governmental organizations, local state and federal agencies, Native American tribes, and private citizens. The Oak Woodland Restoration Field Day represents an important part of KSON’S goal to promote oak conservation and restoration by providing opportunities for practitioners and community members to engage on issues affecting threatened oak habitats. KSON members from Lomakatsi Restoration Project, Klamath Bird Observatory, Bureau of Land Management, Natural Resource Conservation Service, US Fish and Wildlife Service, and US Forest Service will be present to offer their unique perspectives on oak restoration. This event will be an excellent opportunity for landowners and managers to meet others who share an interest in habitat conservation and restoration of oak savannas and woodlands, and to discuss the best ways to preserve these precious natural resources into the future. The Field Day is free, but space is limited and registration is required. This event is planned for 8:30 am to 2:30 pm, and participants will need to provide their own lunch. For more information, including registration and carpool information from Ashland or Yreka, or for more information about KSON, please contact KSON Coordinator Kate Halstead at 541-201-0866 ext 7#, or at keh@klamathbird.org. Click here to view pdf of this press release. Applied ecology projects that directly address priority natural resource management challenges. We bring results from our integrated science program to bear through an education and science delivery approach involving partner-driven engagement in conservation planning. With science, we are informing critical decisions being made today that will have lasting influences into the future. Klamath Bird Observatory’s award-winning conservation model is applied at local, regional, and international scales. We developed our model locally in the ruggedly beautiful and wildlife-rich Klamath-Siskiyou Bioregion of northern California and southern Oregon where we maintain intensive science and conservation planning efforts. 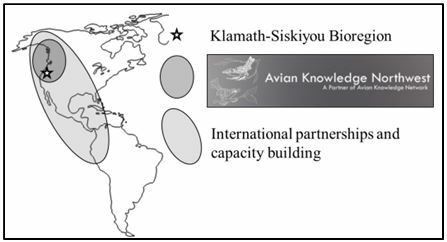 We now provide scientific resources and decision support across the Pacific Northwest region through the Avian Knowledge Northwest node of the Avian Knowledge Network. Our intensive professional education and international capacity building programs expand our influence into Mexico, Central and South America, and the Caribbean where we actively support partners who are applying our model through a network of locally driven programs aimed at protecting birds throughout their breeding, migration, and wintering ranges. Results that tell us what kind of management actions benefit these species. Armed with this information we identify conservation priorities and projects to benefit oak related species in Canada, the United States, Mexico, and Central America. We offer specific guidance for broad-scaled restoration of oak habitats in the Pacific Northwest. In northern California and southern Oregon we are partnering to design, fund, and evaluate specific restoration projects on public and private lands, ensuring on-the-ground benefits to birds. Our leadership in the Klamath-Siskiyou Oak Network (KSON) cultivates partnerships that have resulted in over $6 million for on-the-ground restoration that is driven by our conservation planning approach. KSON oak conservation programs have been highlighted in the last two national State of the Birds reports and received the U.S. Department of Interior Partners in Conservation Award.